Much like the company itself, Mobotix' stock has hit hard times, dropping more than 60% in the past 12 months. In this note, we examine what is happening and why. **** **** *** ******* itself, *******' ***** *** hit **** *****, ******** more **** **% ** the **** ** ******. ** **** ****, ** examine **** ** ********* and ***. ** ******, ***** ****************** ****** ** ***** ****** ******************* ** *** **** of ***** *******'* ********, ********* ***** ** declining *************** (** ******* ******** ** ****), **** ****** *** be **********. *****, *** *****'* ******* has *********** ** *** last * ******, ****** half *** ***** ** that ****. *******'* ****** ************** ** now ~$*** ******* ***, down **** ~$*** ******* USD **** ****. *******'* ****** *** **** poor (*** **% ******) for *** **** * years, **** *** **** recent * ***** ****** ***** 4%. ******* ********** *** *********, Mobotix ************* *** ******* down ** **** ******, at **** *% *** margins ****** **% ** the ******** ****. **** was ****** ** * decrease ** ***** ******* for ***** ********. ******* *********** ******* ************ are *** ******, *** late. ***** **** **** some *** ******* *** are ********* ***** ************ difficult ** *** ********, their ****** ****** *** too ****, *** **** refuse ** ***** ***** requirements such ** *. *** *** ONVIF. * ********** ********* ***** connect ***** ****** ** the ********** ***** *****, but ******* *** ***** determination ** ***** ********** ********, perhaps ** *** ****** end. A testament to German stubbornness, I think. They [German companies] generally build very good products, but when it comes to giving the market or customers what they want, they seem to be, "We know what is best better than you do." I think I hear the takeover clock ticking. Team IPVM, Do you envision a Dedicated Micros-esque type of plunge with their similar take on being "open" (ONVIF, h.264, etc)? DM's fall is a good comparison. Mobotix can still avoid this by making straight forward changes. They'll never be "#1" in megapixel sales like they were years go, but they can avoid a revenue collapse even if they simply mimic the market. This is a shame because not too long ago I had a really high regard for them. However last year I had a long chat with one of their seniour guys and asked him why they would not offer H264 and Onvif. He said - and I quote " We are right to stick to MxPeg and will prove to the world that they are wrong and we have the best solution". I was shocked at his arrogance. I suppose that the world is showing them that they are wrong. They can still turn this around if they start to engage with some good solution partners (like Axis and Milestone do), change their message and actually offer H.264 and Onvif products. Or maybe make it easy for other VMS systems to pull video from their cameras using MxPeg? Not being a programmer, how viable would that really be? I'd think it would be a simple codec install on the server side, but again I'm not a programmer. Luis, the problem with supporting another CODEC is that you need to support it throughout - thick client, web client, export player, etc. It's not rocket science, but it's not also not a day's work. Think about it from the other VMS's perspective. 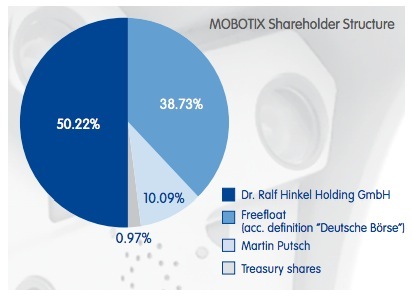 Mobotix market share continues to fall. Why should a VMS spend time integrating their proprietary codec when a dozen other low cost offerings can be integrated via ONVIF? Also when you can integrate the MJPEG stream they already offer and say, "Yeah we integrate with Mobotix." 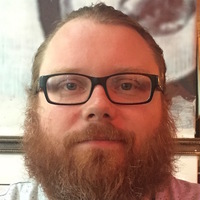 John, well I figure that, I just don't know how easy or if VMS recording systems on the server side and their client interfaces on the workstation side can utilize codecs installed in the host operating system (i.e. Windows). If a particular VMS were capable of doing that, then it would be a simple matter of just making sure the codec was installed on the server and client side. But I agree the more logical course, and best way for them to re-gain traction, would be for Mobotix to adopt h264 either via ONVIF or at least plain RTSP. They could even try and get ahead of the game and support h265. But truth be told I see them holding out until either the end or near the end. Long overdue attrition and consolidation seems to be taking effect in the industry. "If the demand were large enough, it might be in a VMS maker's interest to include drivers for Mobotix cameras "
Honestly, it seems like if that were the case it would have already happened. If these integrations aren't done yet, every passing day gives them LESS incentive to do it. Nice synopsis. I agree totally that they have lost focus. They believe that their approach "Mx Control Center" and their proprietary MxPEG are the only relevant reasons that people would choose their overpriced cameras. They haven't kept abrest of the market and steadfastely refuse to deepen their VMS integration. All of this leads me to the final conclusion that Mobotix really doesn't care about the end consumer. That said, I've never seen a camera that can withstand temperatures that I've had them installed. I have seen (documented) recorded camera temperatures (without enclosure or heater) down to -87F and the camera keeps on ticking. Something to be said about that for certain. I think that a company say, like Cisco, would be a logical company to buy them in their weakened state. They are a perfect acquisition with an intelligent business manager at the helm - so maybe Cisco is not the best choice - any other suggestions - Anyone? Ed, I agree with you that there are certain high end / advanced features that are competitively strong. To that end, it is a shame that Mobotix does not make it easier to incorporate those cameras more broadly in open surveillance systems. As for a buy out, given their low valuation now, I think they would be attractive for a number of players. Does the founder want to sell? Can he be motivated? He owns 50.22% of the shares. Much like the company itself, Mobotix' stock has hit hard times. Refreshingly fundemental. At least that's the way it should be, as opposed to the stock price dip causing the company to falter, like we see all too often.